Deanne L. King, M.D., Ph.D., has joined the Department of Otolaryngology-Head and Neck Surgery as director of clinical research. March 6, 2018 | March 6, 2018 | Deanne L. King, M.D., Ph.D., has joined the University of Arkansas for Medical Sciences (UAMS) as director of clinical research for the Department of Otolaryngology-Head and Neck Surgery in the College of Medicine. King will facilitate collaborations on otolaryngology topics between researchers on campus, assist residents and medical students with publishing their research, increase the number of clinical trials in the department, and pursue grant funding. She is also an assistant professor in the College of Medicine. King has a Bachelor of Science in biochemistry from the Texas A&M University in College Station. She has an M.D./Ph.D. in molecular and cellular biology and pathobiology from the Medical University of South Carolina in Charleston. 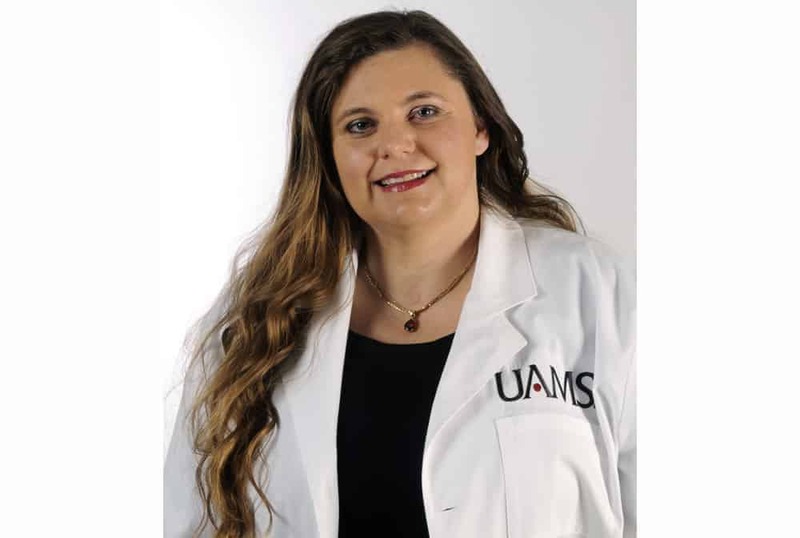 She completed an internship in general surgery and a surgery residency in otolaryngology-head and neck surgery, both at UAMS. King said she enjoys helping researchers make connections. Dornhoffer has held the privately funded Samuel D. McGill Jr. Endowed Chair in Otolaryngology Research since 2002. There are a total of six endowed chairs within the department to assist with research funding. Faculty in the Department of Otolaryngology-Head and Neck Surgery are fellowship-trained in their specialty and cover all the sub-specialties in the field (otology, endocrine, head and neck, rhinology, laryngology, pediatric and vascular anomalies). The faculty consistently receive high scores on patient satisfaction, and six faculty are listed in “Best Doctors in America.” They practice at UAMS Medical Center, Arkansas Children’s Hospital and the Central Arkansas Veterans Health Care System. Department faculty also publish their research at a high level, with several textbooks and dozens of peer-reviewed manuscripts published each year. Faculty present their research at numerous national and international events and invited lectureships.